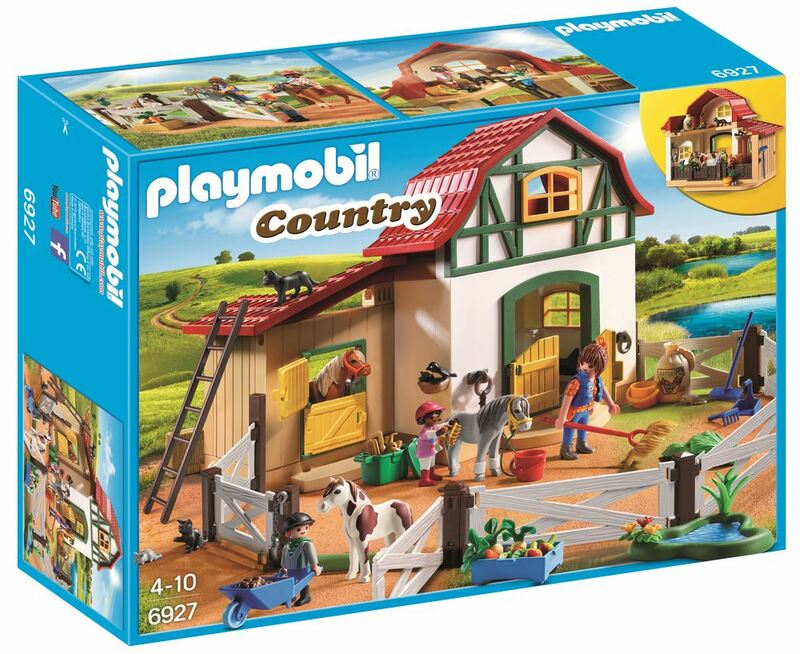 The Playmobil Pony Farm features a stable block with 3 horse stalls. The fenced area is ideal for giving your horse its daily exercise. Both stable doors can be closed and opened independently of each other. Includes: stable, 3 figures, 3 horses, food, grooming equipment and accessories. Part of the Country and Pony range. Age 4+ years. Distributed in New Zealand by Holdson.